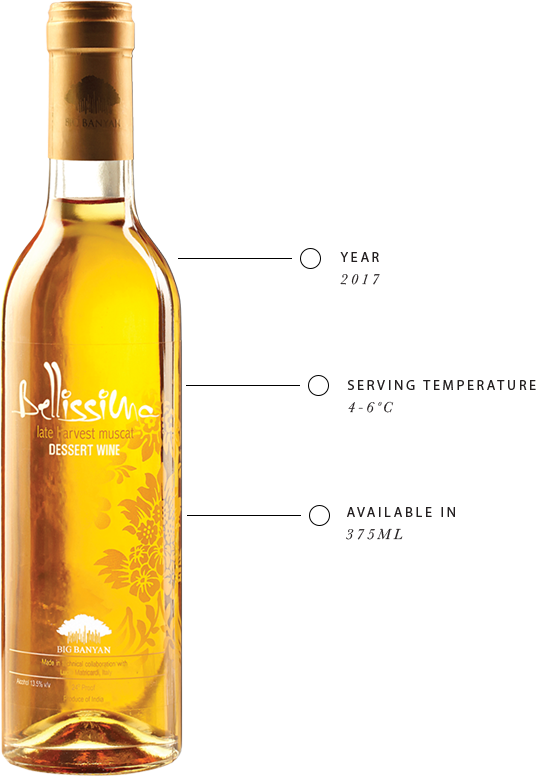 The decadent flavours of Bellissima come from clusters of Muscat grape. They are harvested late and sun-soaked to naturally concentrate sugars and aroma. This dessert wine is the perfect end to a perfect meal. The aroma of this wine is like an orchard of apricots and pears in full bloom. A deeper whiff reveals the sweet scent of flowers, dried walnuts and raisins. This wine is liquid sunshine. It is a deep golden yellow, speckled with hints of amber. Sweet, and velvety smooth, this wine has a smooth finish with a mineral tinge.